Friday, Feb 2, 2018, is Candlemas Day, also known as the Feast of the Presentation of Our Blessed Lord and the Purification of the Blessed Virgin Mary. As announced in the previous post, there is an organized effort to encourage Catholics to say a special Rosary for the Purification of the Church and the triumph of Our Lord. What a special day to pray and hear Mass, a very Solemn and Pious celebration of Holy Mass, for possibly the most important intention we could ever have in these malicious times! An important event is being promoted for February 2, Candlemas Day, also known as the Presentation of Our Lord and Purification of the Blessed Virgin Mary. Full details can be found at Rosary to the Interior. 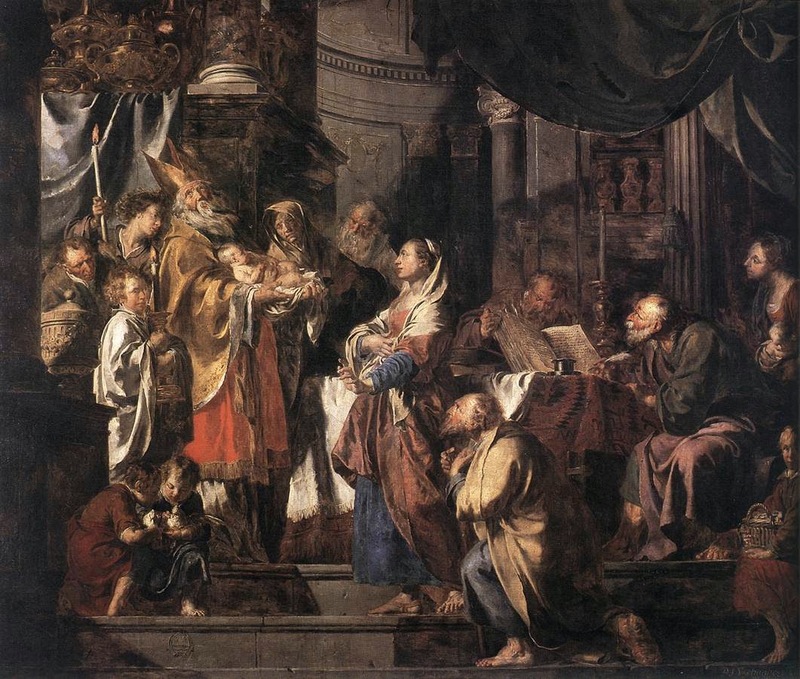 On February 2, 2018, which is the day celebrating the double Feast of the Presentation of Jesus in the Temple and the Purification of the Blessed Virgin Mary (also called Candlemas), there will occur throughout the United States the gathering of faithful in their parish churches to pray the Rosary for the intention of the Purification of the Church, and the Triumph of the Light of Christ over all sin and error. The Church has now been penetrated by a darkness greater than at any time in its history – not only the darkness of sexual sins and other moral “filth”, but that which consists of every conceivable form of error masking itself as truth, and of darkness masquerading as light. The task of unmasking these “thoughts”, and thus paving the way to the Triumph of the Truth of Christ, has been entrusted to Mary. Most specifically, it has been entrusted to Our Lady of the Rosary. We are at a point in the history of the Church in which none of the normal apostolates which sustain the life of the Church – catechesis, proper intellectual formation, all sorts of organizations in defense of faith and morals, apologetics, etc. seem to possess the power to resist and defeat the enemy, who is always encroaching and making progress against what appear to be even our best defenses (including the rosary). We pray the rosary “against” Islamic jihad, secularism, abortion, and all those forces and institutions which wage war against all that we hold sacred (including Marriage and the Family), and we pray the rosary “for” an end to these things. And yet they continue to advance, seemingly at a geometrically increasing pace. We must ask why. 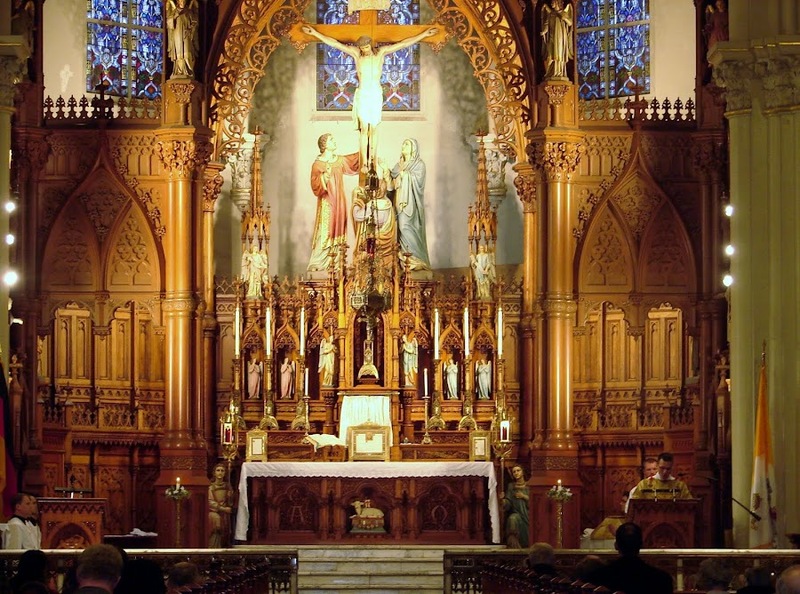 The answer consists in that truth which has been succinctly expressed in a great many ways by such Popes as Pius IX, Leo XIII, and Pope Pius X: namely, that only the Catholic Church possesses the light and the power to build, nourish, and protect Christian civilization. And, tragically, this power and light has now been weakened and dimmed to a point that the Church has largely been reduced to the status of a minor character and victim upon the world stage. The salt has lost its savour, the light is hidden, the bride befouled. And what is most debilitating about this interior pollution, both within our individual selves and the Church as a whole, is that it is self-perpetuating and increasingly blinding. The more compromised with the world we become, the greater becomes the hidden guilt which causes us to be obsessed with the enemy without, rather than doing what is necessary to restore the light within. Go to the website and read the full posting. Forward it to others. Please keep all those who will be Confirmed in your prayers. Saturday, January 6, is the Feast of the Epiphany. A good explanation of the Epiphany chalk tradition can be found on One Peter Five. Prayer:On entering the home,Leader(Priest, if present, or father of the family) : Peace be to this house. All Pray: The Magnificat. During the Magnificat, the room is sprinkled with holy water and incensed. After this is completed,All: From the east came the Magi to Bethlehem to adore the Lord; and opening their treasures they offered precious gifts: gold for the great King, incense for the true God, and myrrh in symbol of His burial.